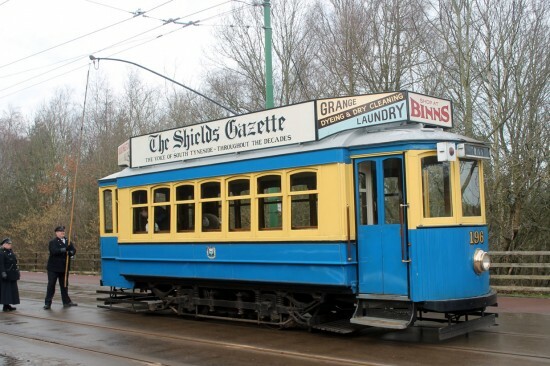 Tuesday 5th February saw three trams in action at Beamish – albeit only one was in normal passenger service. With some snow still lying on the ground following the recent snowfall that didn’t deter the use of open toppers with the service car being Blackpool Marton Box 31 with Newcastle 114 in use on driver training. The third and final tram out was Oporto 196 which was on a special with a teddy bear and lots of small children on board! Trevor Hall took advantage of his Unlimited ticket once again and provides us with the below photos. 196 at The Entrance. 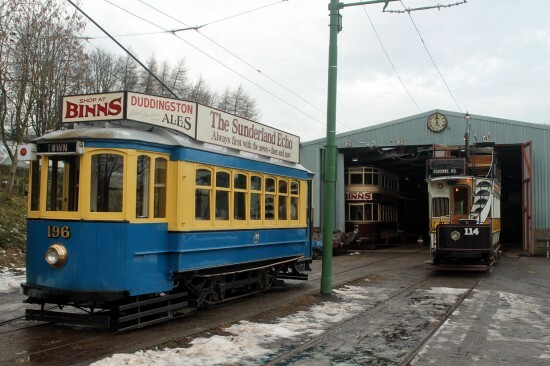 Having worked anti-clockwise to The Entrance the trolley pole is being turned to enable it to run back to the Tram Shed. Note the Teddy Bear sneaking a look out the saloon window! Blackpool 31 is pictured on the clockwise passenger service. Oporto 196 will follow it down to the Tram Shed. 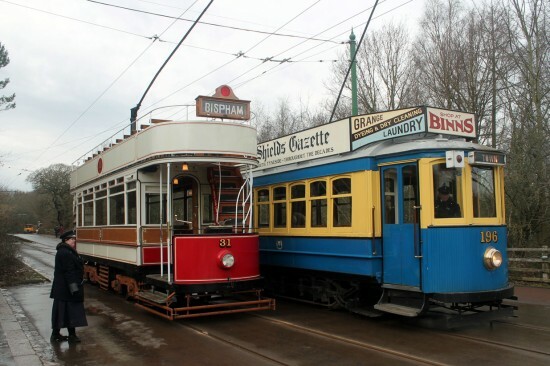 It's rare to see two trams side by side facing the same way at Beamish. 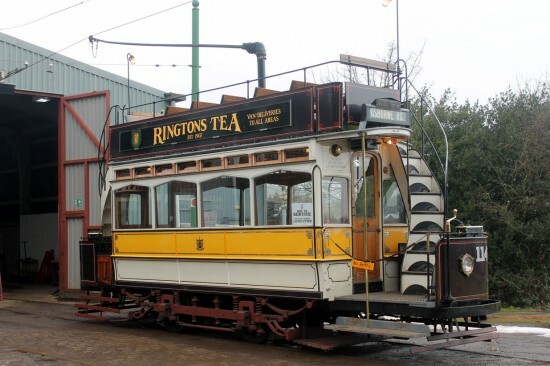 Newcastle 114 is pictured on No.4 Road having finished its driver training stint. Oporto 65 is on the same Road inside the Tram Shed. Oporto 196 is the sole occupant of No.3 Road, whilst 16 is in the Shed with 26 behind it on No.2 Road. In the Shed and out of sight in this view is Sheffield 264 on No.1 Road.